Home Europe V4 Report: Czech Republic and Australia: Czech Foreign Minister Martin Stropnicky speaks highly of Australia’s migration policy and says it could be a model for Europe. V4 Report: Czech Republic and Australia: Czech Foreign Minister Martin Stropnicky speaks highly of Australia’s migration policy and says it could be a model for Europe. Maybe. While Australia’s border security is an excellent model, this is only part of the battle. If Stropnicky is referring to Australia’s tough border security regarding migrant attempts to enter by sea, the V4 Report is in agreement. However, Australia also takes-in around 190,000 migrants per year (almost 1 million every five years) through other avenues and is starting to have issues with multicult as well. ** Migrants who attempt to enter Australia illegally are prevented from settling there. Australia has implemented a system that allows them to detect a vessel with migrants in order to pull it back or transport the migrants to a third country where they are placed in detention facilities. So far so good. This is definitely the correct model to deter illegal migration. “This can definitely be inspiring. They are deciding on this (immigration) on their own, doing it in a fair and serious manner,” Stropnicky said. 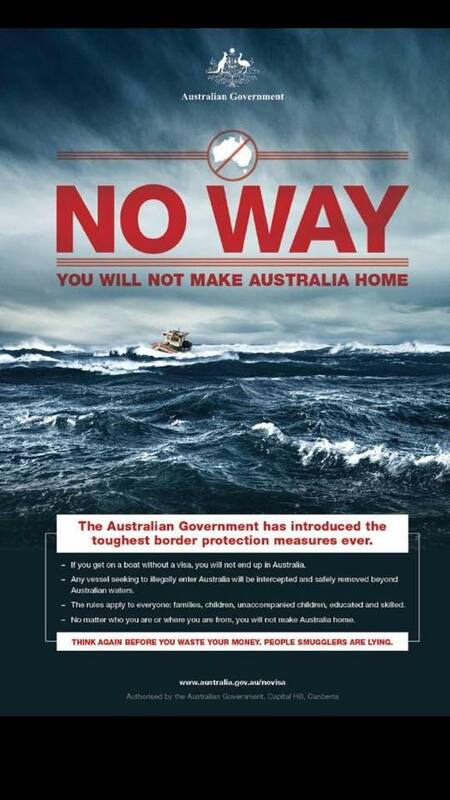 The Australian model of external border security at sea is a common sense and protects its territory and people. It has also deterred illegal migration and prevented the types of tragic deaths one sees in the Mediterranean. Europe (especially Italy, Greece and Spain) has much to learn from Australia in this regard. *** Yet, “migration talk” can be tricky if one just focuses on border security and disrupting the profits of the smugglers and people traffickers. While this is a must first step, the next avenue taken is just as important. Although the EU, as opposed to Australia, still grants entry to illegal migrants, which is insane and counterproductive, Brussels also “talks” of securing the border in order to reduce the profit incentives for smugglers. As usual, this is somewhat misleading. The main goal of Merkel and the EU is not to stop or limit the flow of migrants into Europe, but to change the “method of transfer”. When Merkel speaks of “secure passages” to Europe and Malta’s leader Muscat talks of the need to create “human corridors”, they do not intend to “deny entry” or to seal the border. The EU agenda is to magically turn “illegal migration” into “legal migration” by attempting to replace the “smuggling routes” with “direct transfers” from Africa to Europe. The V4 Report warned of this type of deception in our February 2017 post titled “EU Deception at the Malta Summit”. Talking tough on borders and smugglers while looking for avenues to directly transfer migrants from Africa to Europe is not a model to emulate. Europe must instead implement a permanent mechanism to rapidly deport the migrants outside of Europe while securing the border and disrupting the smuggling networks. If migrants see others being returned promptly, they will get the message. This is how one deters and reduces illegal migration. Instead of Merkel’s proposal to reward member states that accept migrant quotas, the EU should be rewarding European nation states that actually enact policies to reduce migration and deport migrants who do not belong in Europe. **** Anyone can say they will “secure the border”, but few have the will and determination to do it. Moreover, many, such as EU Minister Dimitris Avramopoulos and Angela Merkel, have other ideas on how to “commit” Europe to mass migration. Defying and defeating the EU goal of redistributing the migrants across Europe is a must first step to combating the migration agenda of Brussels. The second step is a viable and meaningful ongoing mechanism for deportation. V4 Report: Austria: Sebastian Kurz Challenges : Angela Merkel for linking migrant quotas to EU Funding. When will Merkel face reality?